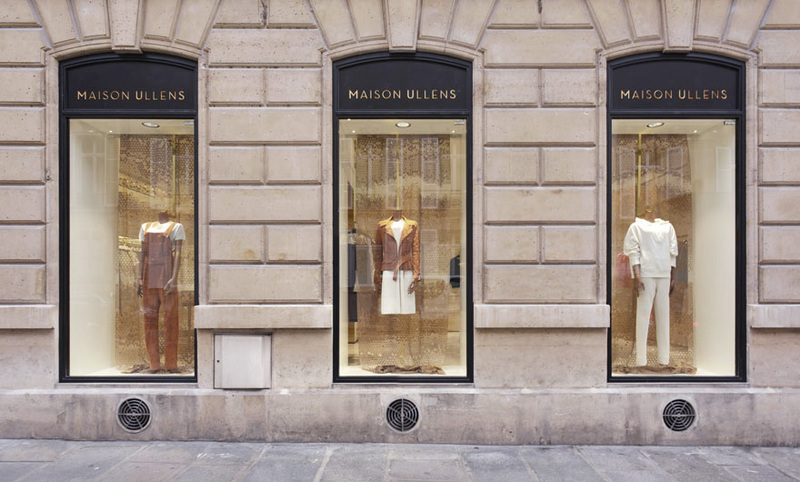 The use of materials within the store is inspired by Maison Ullens' innovative application of materials for their fashion products. The store employs a careful choice of finishes: marble, leather, teak, terrazzo and brass build the tactile qualities of the store, at the same time making reference to French history and craftsmanship, including the molding leather details of typical French interiors of the Haussmann period. 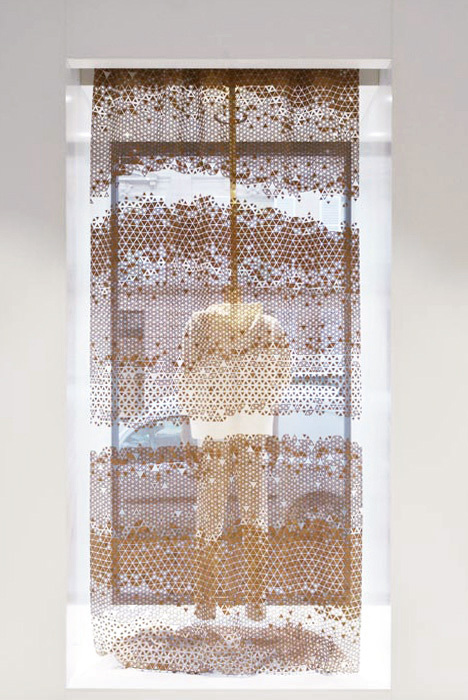 In the windows at the façade, porous wooden curtains, custom designed and handmade by the artist Elisa Strozyk, are applied. COORDINATION has designed and completed a private apartment in Almaty, Kazakhstan. Located on the 30+ floor in the highest and most prominent building of the city, the Esentai Tower, this apartment is aimed to be a place for sensory and intellectual stimulation as well as a refuge for reflection and relaxation. Elisa Strozyk produced a commissioned wooden plaid in green fading colours for the master bedroom. 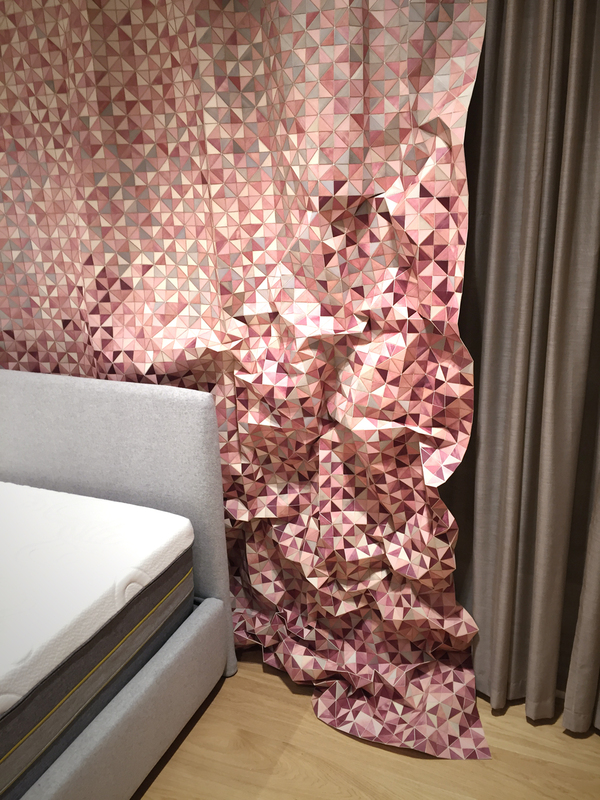 Elisa Strozyk was asked to design a wooden backdrop for Technogels flagshipstore for high-end gel mattresses and pillows. The curtain is made of hand-dyed maple wood.